From the same researchers that brought you the idea that gluten-free was the way to be, a new study suggests that it's just a bunch of hogwash. Peter Gibson, a researcher at Monash University in Australia, was the originator of the 2011 study that determined that gluten can cause gastrointestinal distress in even normal people. Granted, it was a small study, but the implication was far-reaching: we should never, ever eat gluten. Well, Gibson published a follow-up study in 2013 in which he tested more people with self-described "gluten sensitivity." (To be clear, subjects didn't have celiac disease, which is a real thing, but only affects a minuscule portion of the population.) Of the 37 individuals that were given either low gluten or high gluten diets, Gibson's team found "no evidence of specific or dose-dependent effects of gluten in patients," i.e. nothing. Even after rooting around in patients' feces, they found no distinguishing markers, and patients on both diets had the same amounts of GI distress. Why does this matter? Because even though most Americans have no idea what gluten actually is, they'd prefer not to eat it, citing ambiguous health reasons. The New York Times reported in February that gluten-free products totaled $10.5 billion in sales in 2013, and they are expected to hit $16 billion by 2016. 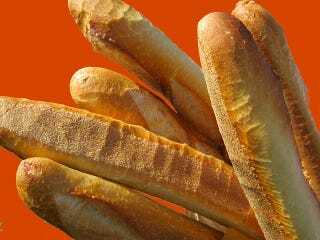 Will this study arrest the war on bread? Possibly. Let's hope it happens much faster than toe-shoes. Conclusion: It's not gluten giving you the farts; it's food in general. Probably beans.